On May 3, 2016, the United Nations Security Council unanimously adopted Resolution 2286, aiming to condemn attacks against medical facilities, personnel and patients in conflict situations, and to eaffirm their rightful protection towards the international framework under which all states must abide. The UN Secretary General also provided the Security Council with recommendations on measures to enhance the protection of, and prevent acts of violence against medical patients and health personnel. Two years later, little has been done by UN member states to concretely translate the resolution into sustained action. Doctors Without Borders/Médecins Sans Frontières (MSF) continues to urge the Security Council to endorse the Secretary General's recommendations. In September 2016, members of the United Nations Security Council met to review recommendations to enhance UN Resolution 2286, passed earlier that year, which called on member states to uphold international humanitarian law and protect civilians and medical facilities in conflict zones. 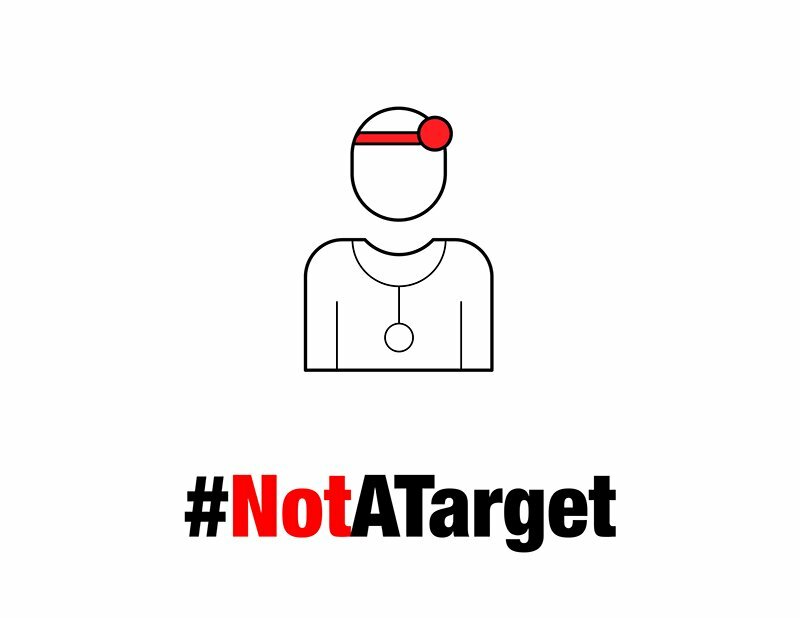 In the two years since the resolution was unanimously passed, military attacks on hospitals, doctors, patients and public spaces have continued unabated, including deadly airstrikes on Doctors Without Borders/Médecins Sans Frontières (MSF)'s own facilities in Yemen and Syria. 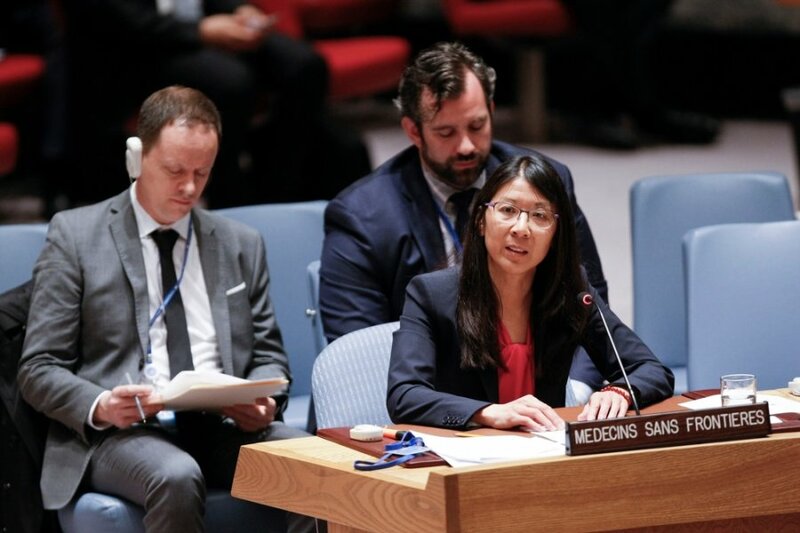 MSF International President Dr. Joanne Liu, a physician from Montreal, addressed that meeting of the Security Council, and called upon member states to live up to their obligations and to stop the relentless assaults on civilian and medical targets. 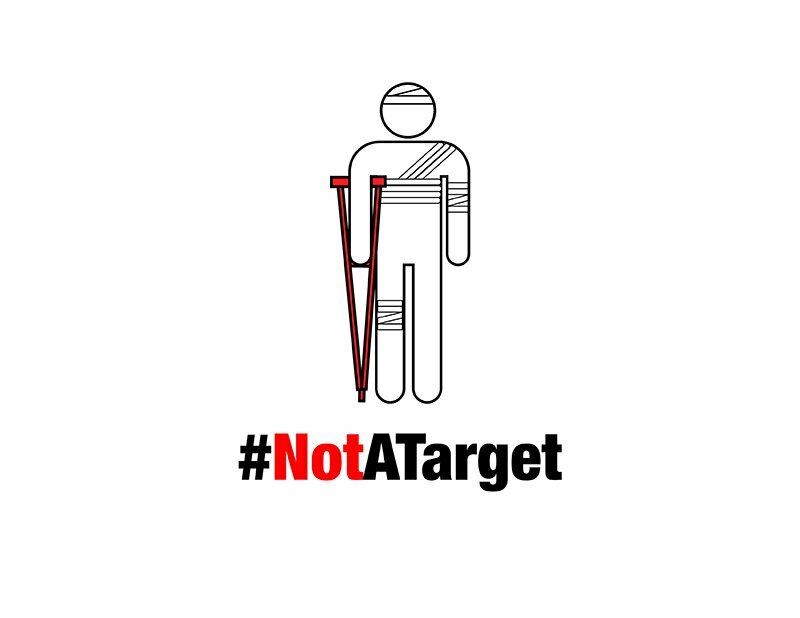 Doctors Without Borders/Médecins Sans Frontières (MSF)'s #NotATarget campaign is a social media act of solidarity to stand up for the protection of civilians and civilian infrastructure, patients, medical staff and hospitals in conflicts. More than 100 health structures belonging to or supported by MSF have been bombed since 2015, most of them in Syria. 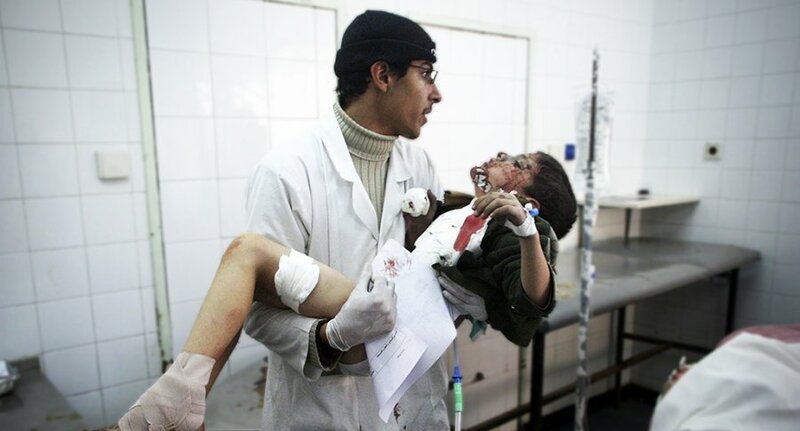 MSF's health workers and health structures have also been targeted in Yemen, South Sudan and Afghanistan, among other countries, causing intolerable suffering, death and destruction. And this is only the tip of the iceberg of reported attacks. These horrific attacks contravene humanitarian law and have a catastrophic impact on people already made vulnerable by war and violence. When hospitals are bombed, civilians are often severely maimed or killed, and those who survive lose access to the medical help they desperately need. 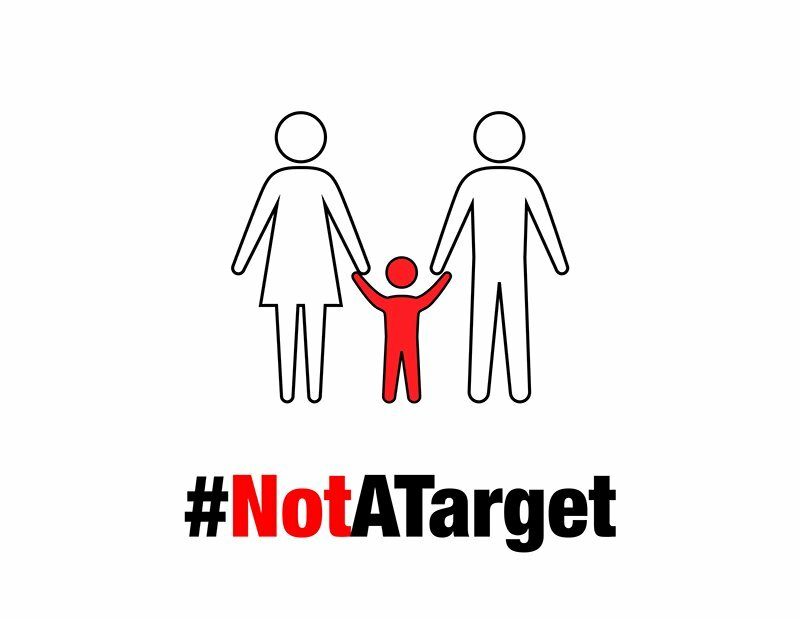 What is the #NotATarget campaign for? To demand the right of humanitarian workers to provide humanitarian care to people in need, particularly in conflict zones. 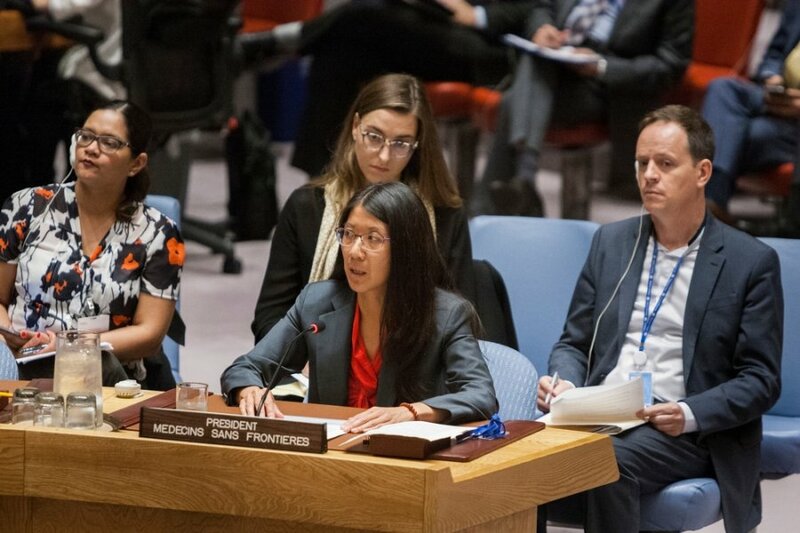 MSF International President Dr. Joanne Liu, a physician from Montreal, addressed a meeting of the UN Security Council, and called upon member states to live up to their obligations and to stop the relentless assaults on civilian and medical targets. On August 15, 2016, three of the five patients hospitalized after an airstrike that hit a hospital supported by MSF in northwestern Yemen, died, raising the death toll from 11 to 14 people, according to the latest information gathered by the teams in Hajjah. 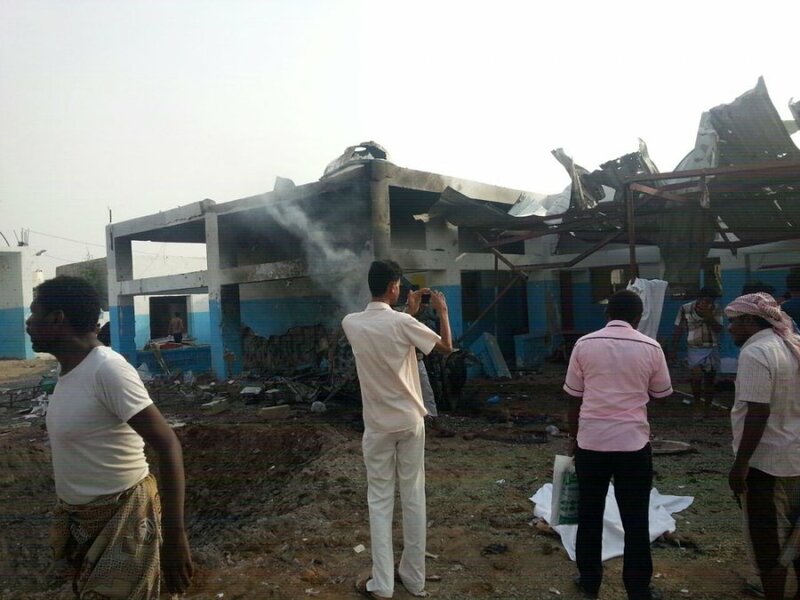 This had been the fourth attack against an MSF-supported facility in Yemen in the last year. On May 3, 2016, Doctor Joanne Liu, the international president of MSF, addressed the United Nations Security Council ahead of a vote on a resolution to reaffirm the protection of health workers, hospitals and civilian infrastructure in conflict zones. The United States military released its investigative report on the attack on the Doctors Without Borders/Médecins Sans Frontières (MSF) trauma hospital in Kunduz, Afghanistan on October 3, 2015. The attack killed 42 people, including 14 MSF staff members, and wounded dozens more from sustained US airstrikes. On average, an MSF-supported health structure was bombed or shelled every week in 2015 in Syria and in the first six weeks of 2016. 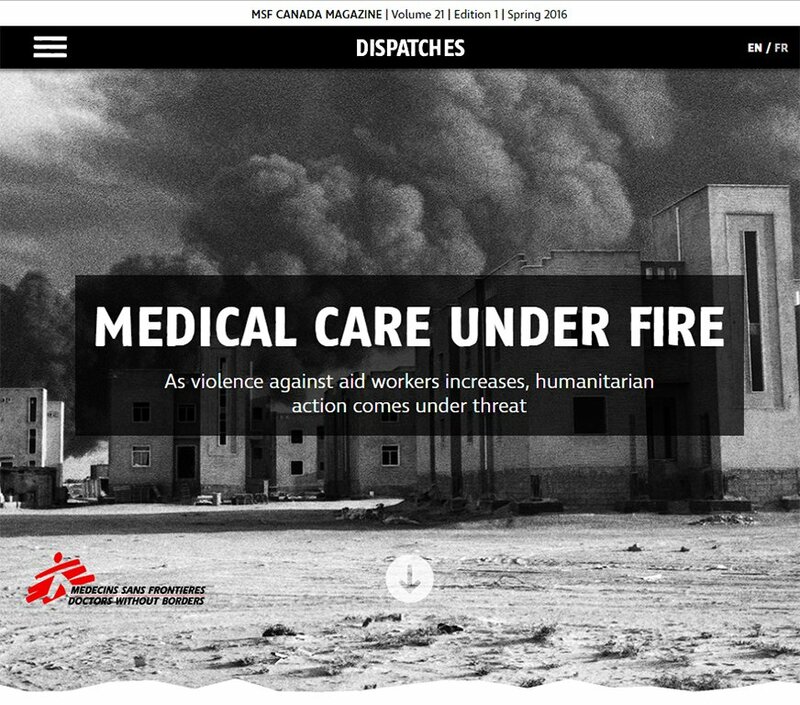 MSF's health workers and health structures have also been targeted in Yemen, South Sudan and Afghanistan, among other countries, causing intolerable suffering, death and destruction. Print off one of the accompanying pictograms and hold it up for your camera. 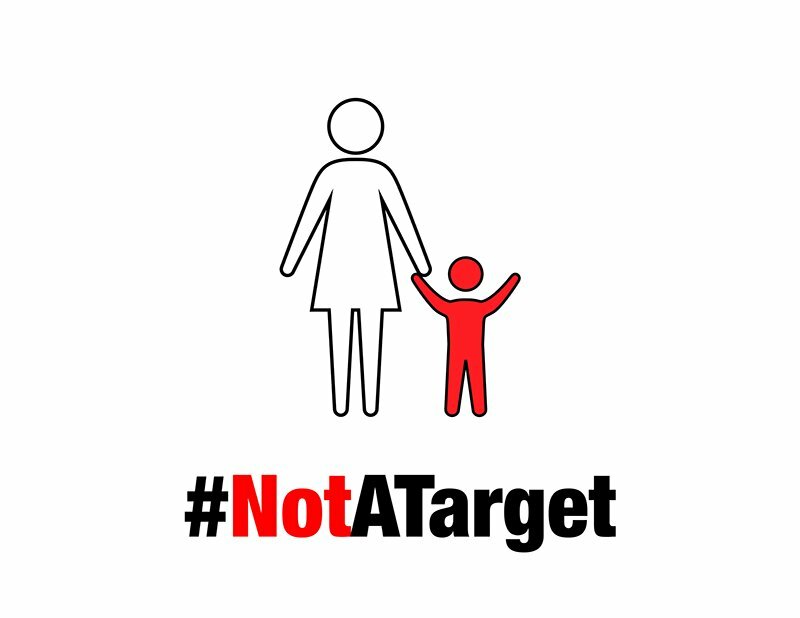 Share the image on social media with the hashtag #NotATarget. MSF is seeking to grow the public’s awareness around this issue. 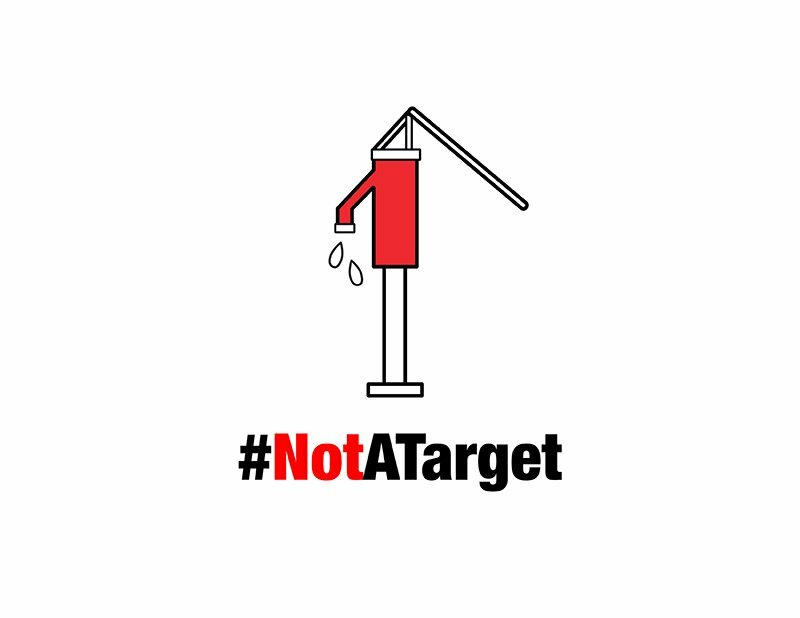 We encourage you to help us by participating in our #NotATarget social media campaign, and to take a stand in solidarity with innocent civilians and humanitarian aid workers around the world. Today, these same countries are now ruthlessly bombing civilian targets. The states that signed the Geneva Conventions, including United Nations member states and members of the Security Council, no longer seem compelled to uphold international humanitarian law, which regulates just and proportionate warfare. The February 2016 example in Syria, where an airstrike bombed an MSF-supported hospital, was presumably carried out by the Syrian or Russian military. Twenty-five people died, and thousands more no longer have access to emergency medical care. In 2015, 63 hospitals and clinics supported by MSF were hit by bombing and shelling in Syria more than 94 times – that’s on average more than once a week. 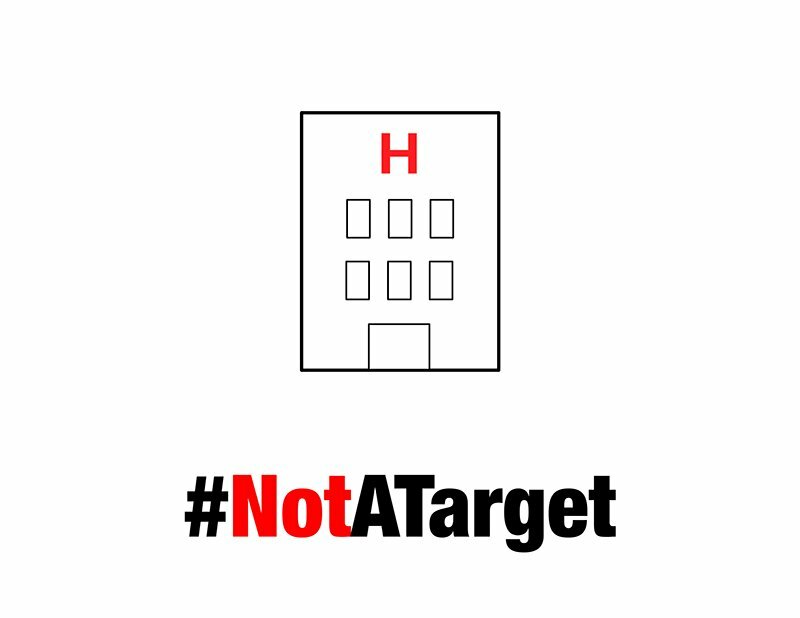 In total, 23 MSF medical staff were killed, and 58 staff were wounded. In Afghanistan, on October 3, 2015, the US military destroyed MSF’s hospital in Kunduz, killing 42 people – the highest number of staff and patients killed in a single incident in the history of the organization’s humanitarian work. In Yemen, MSF medical activities were attacked four times in just three months between October 2015 and January 2016. The first attack took place on October 26, 2015, when fighter jets from the Saudi-led coalition repeatedly bombed a hospital. 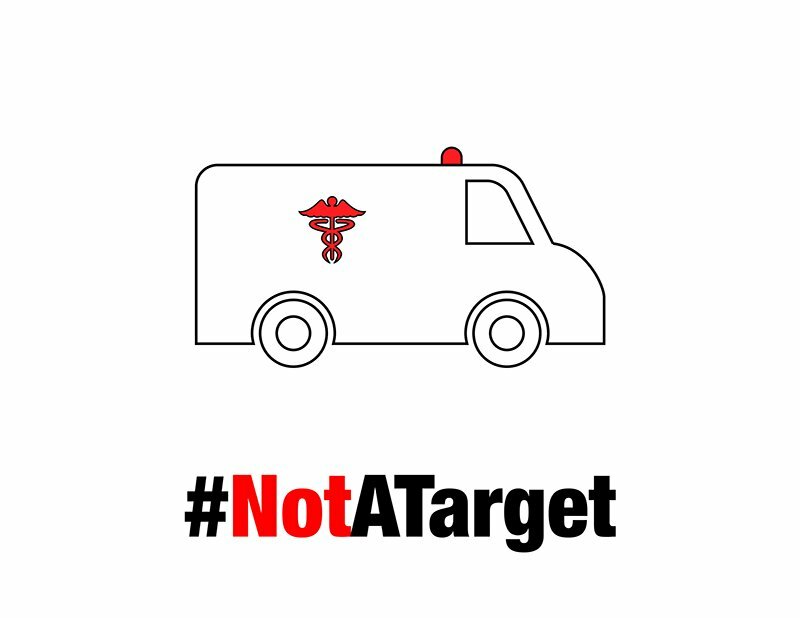 On December 2, 2015, an MSF mobile clinic was hit by an airstrike, wounding eight people and killing one person nearby. 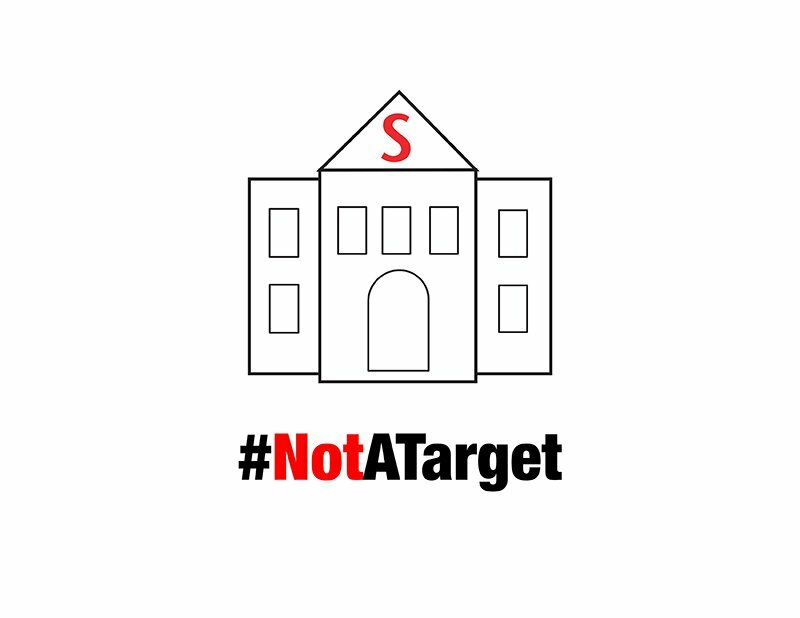 On January 10, 2016, an attack on the MSF-supported Shiara hospital killed six people and injured at least seven, and on January 21 an MSF ambulance was hit and its driver killed in a series of airstrikes in Saada Governate. Attacks also occur in other regions of the world. 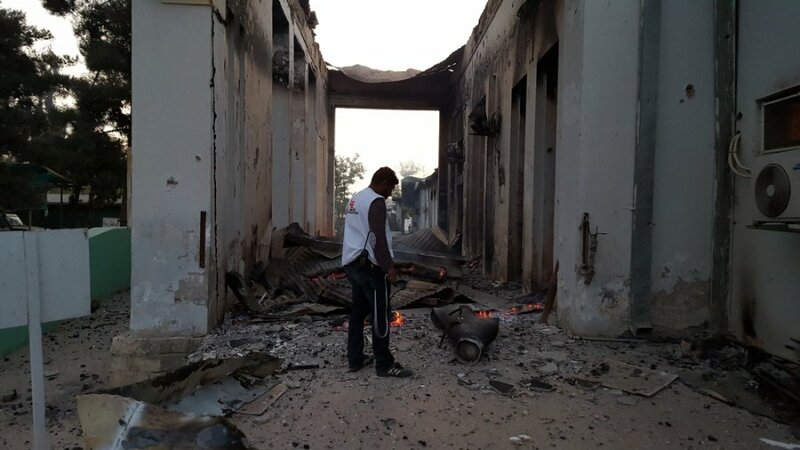 In Sudan, a hospital managed by MSF was bombed by the Sudanese Air Force on January 20, 2015, forcing the suspension of medical activities and thus cancelling medical care for thousands of Sudanese. MSF cannot accept that this “new normal” should define modern warfare. 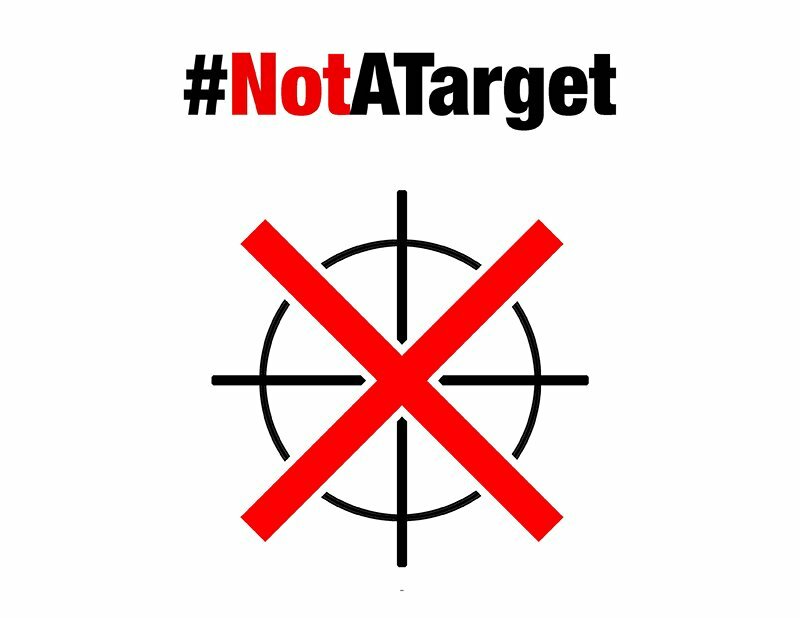 The targeted killing of civilians, medical staff and patients cannot continue, regardless of which armed force or forces is responsible.